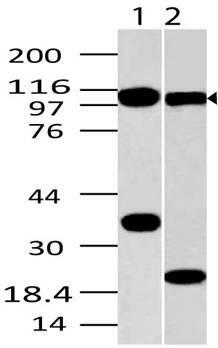 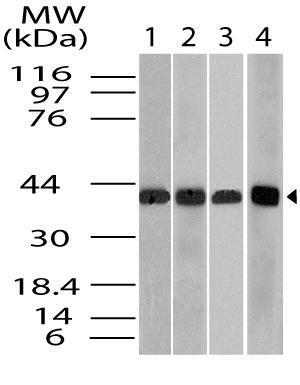 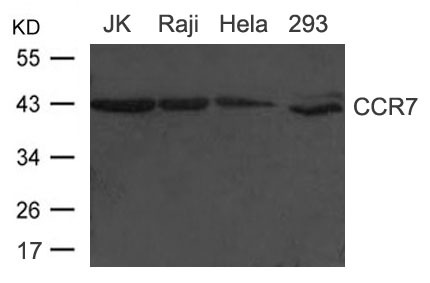 Fig-1: Western blot analysis of UNC93B . 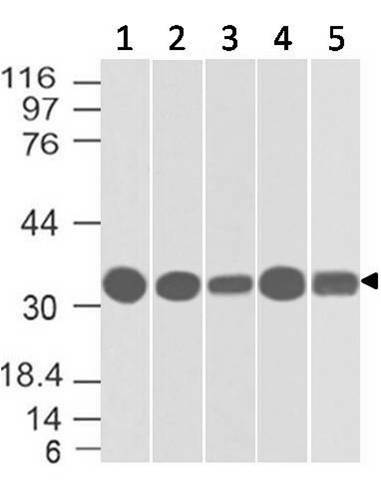 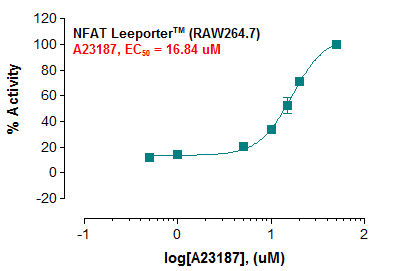 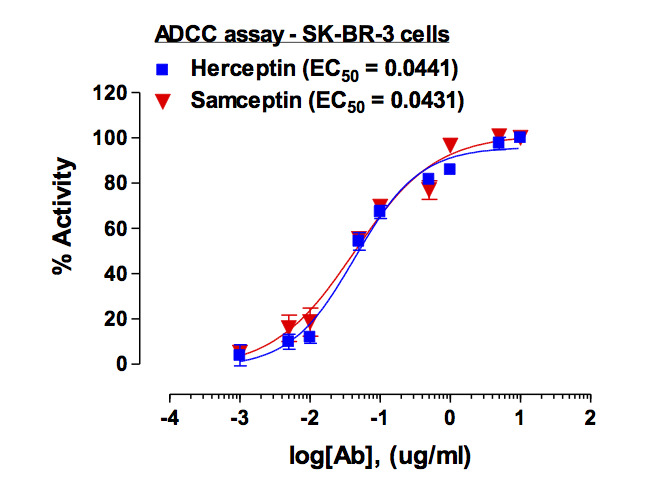 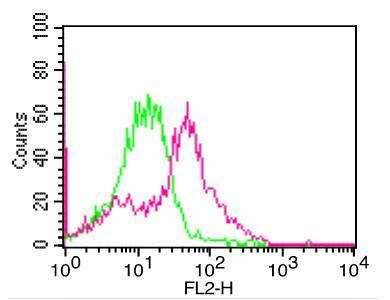 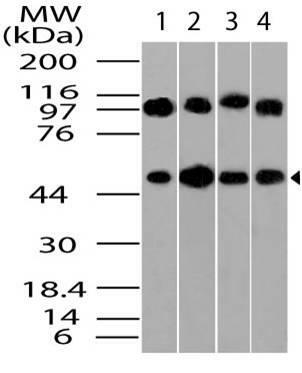 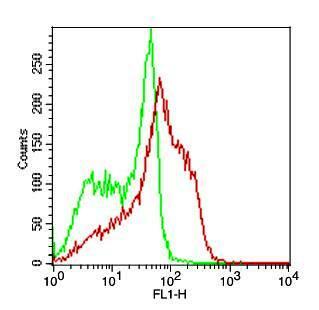 Anti- UNC93B antibody (11-3004) was used at 4 µg/ml on Heart. 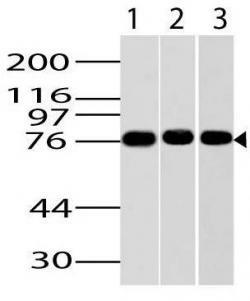 Immunogen Information : A partial length recombinant UNC93B protein (amino acids 300-597) was used as the immunogen for this antibody. 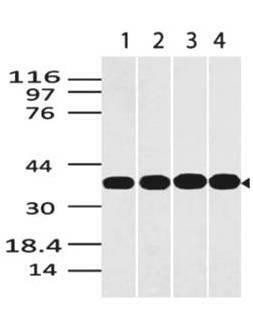 Unc-93 homolog B1 (C. elegans), also known as UNC93B1, is a protein which in humans is encoded by the UNC93B1 gene. 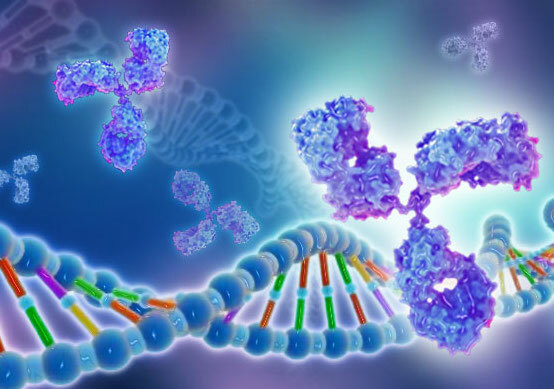 Plays an important role in innate and adaptive immunity by regulating nucleotide-sensing Toll-like receptor (TLR) signaling also they helps in transportation of TLRs (basically TLR7 and TLR9) from endoplasmic reticulum to endolysosomes. 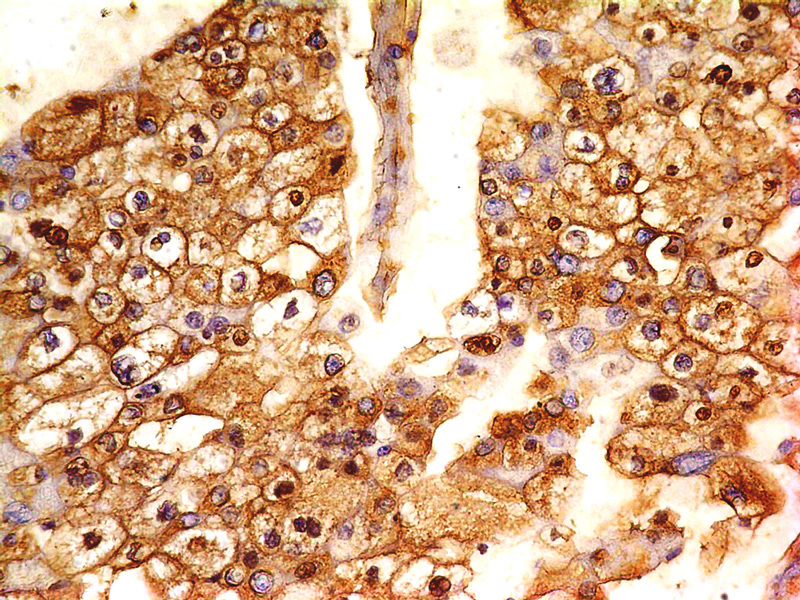 Diseases associated with UNC93B1 include herpes simplex encephalitis 1, and herpes simplex encephalitis. 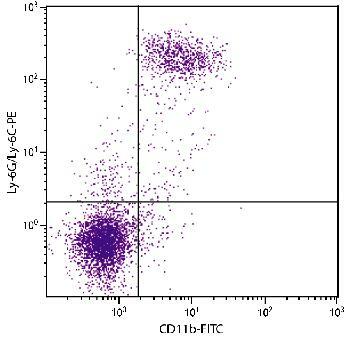 It is expressed in plasmocytoid dendritic cells (at protein level),antigen-presenting cells(high) and at lower level in kidney.